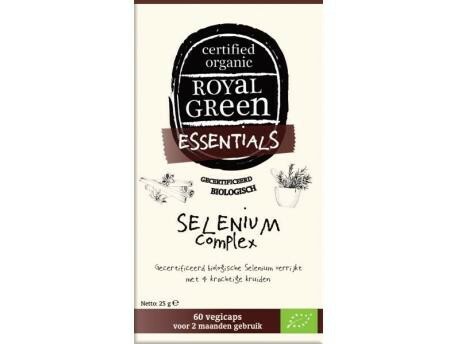 Royal Green Selenium Complex delivers certified organic Selenium together with a powerful combination of Ginger, Turmeric, Rosemary & Cinnamon. 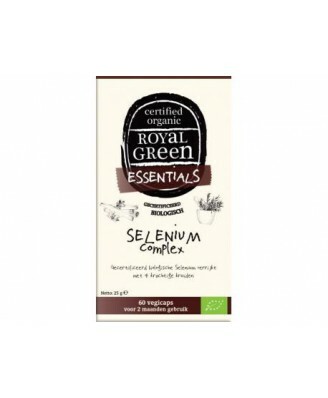 Royal Green Selenium Complex delivers certified organic Selenium together with a powerful combination of Ginger, Turmeric, Rosemary & Cinnamon. 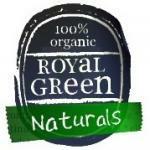 The addition of important herbs such as Turmeric and Rosemary synergistically enhance Selenium. No Chemicals, No Preservatives, No Synthetic Sweeteners, No Flavour Enhancers, Naturally Gluten-Free, Certified Organic, 100% Vegetarian & Vegan.